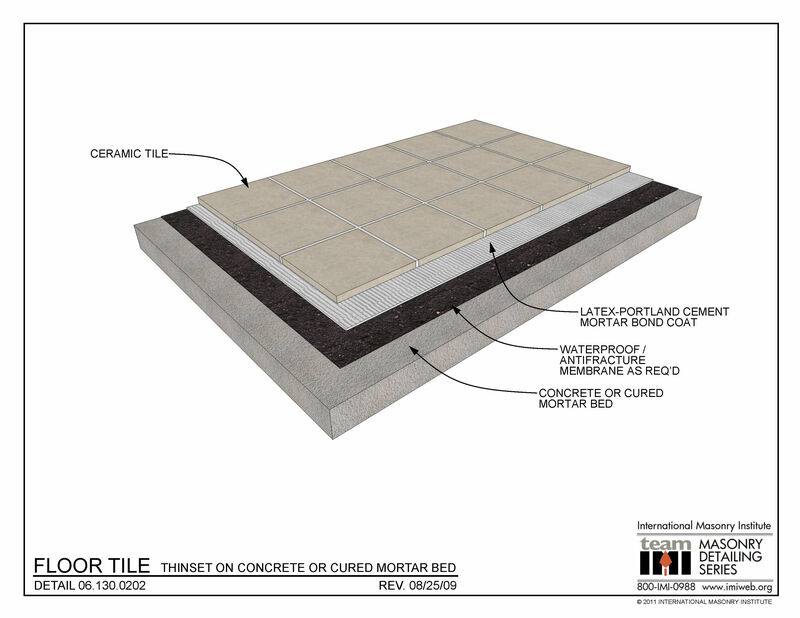 This detail shows tile laid on a concrete slab or a cured mortar bed. The tile is adhered using a dry-set or latex-modified portland cement mortar bond coat. If required, an antifracture / waterproof membrane is applied over the cured mortar bed or concrete. This detail is based on TCNA Method F122.